Hi, I’m Jess from Everyday Party Magazine. I love parties, my guys – my hubby and 4 sons, vacations, and the holidays! I am thrilled to join Kelly and the rest of the amazing bloggers for the 12 Days of Christmas Series! 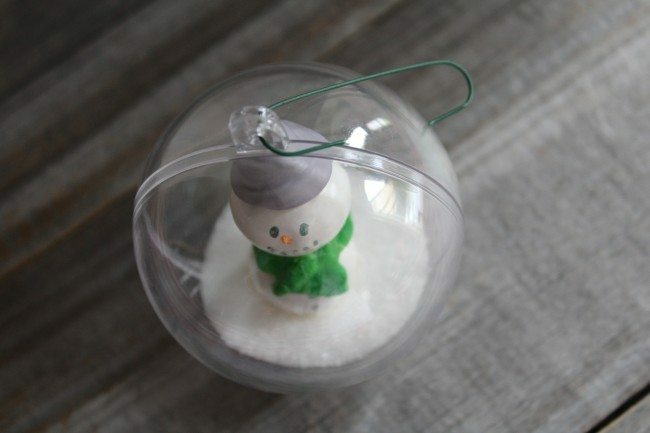 My boys and I made some super adorable gum ball snowman ornaments for a few of their buddies and cousins, and I couldn’t love the way they turned out more! I started with individually wrapped candies from Party City. 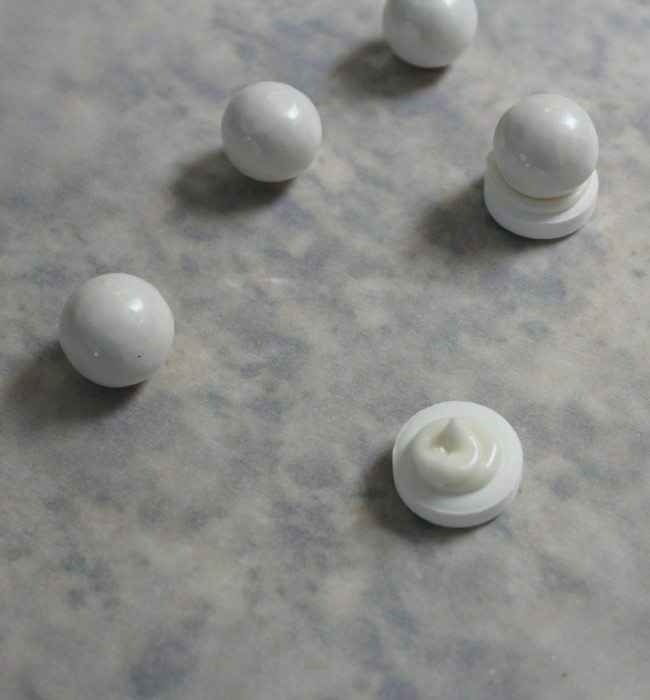 Set up a work surface, and make your royal icing. I used Alton Brown’s recipe and a ziploc baggie to pipe it onto the candy. 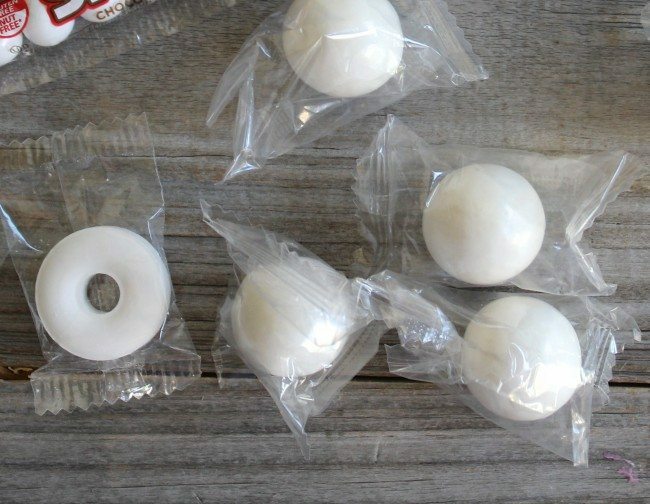 Pipe royal icing onto the Life Savers and add a gum ball on top. 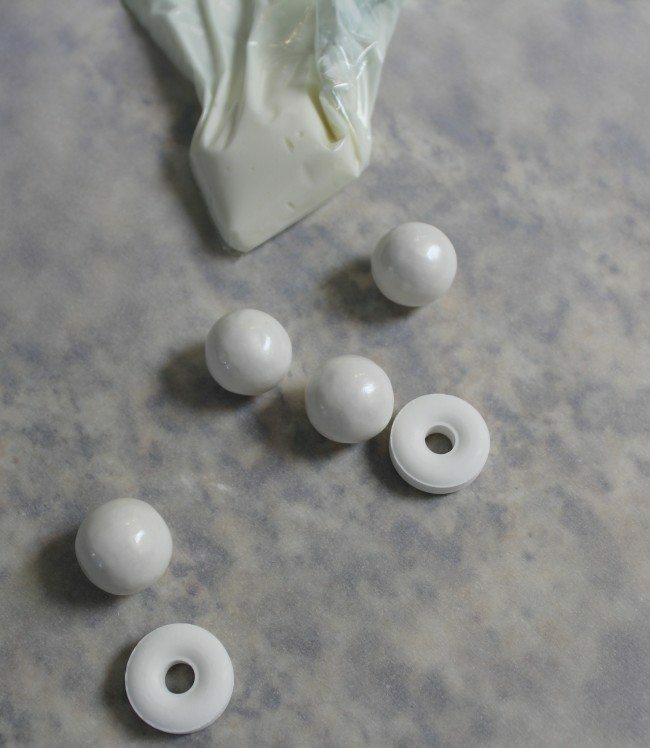 Once it has dried, add more icing to the gum ball and layer the second gum ball on top. 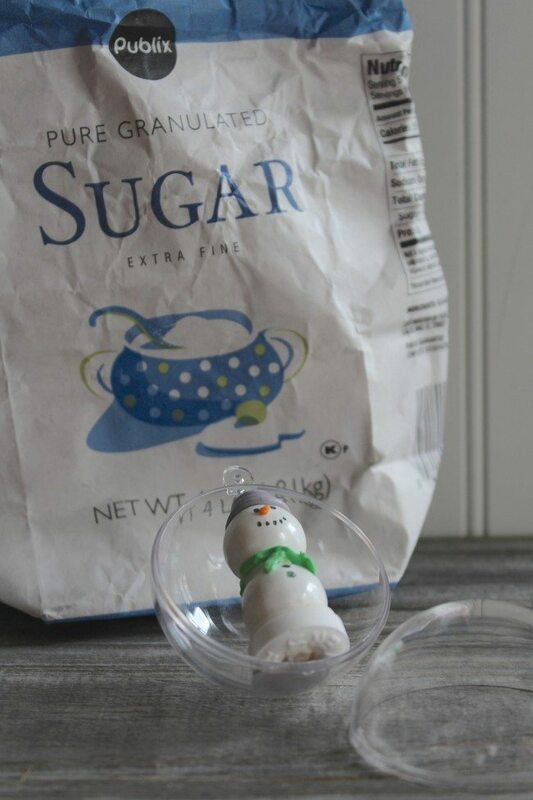 Once that one is set, you can begin to decorate the snowman with icing. I added an orange “carrot” nose, a grey hat, and a green “scarf”. I used the food marker to add “coal” eyes, mouth, and button. 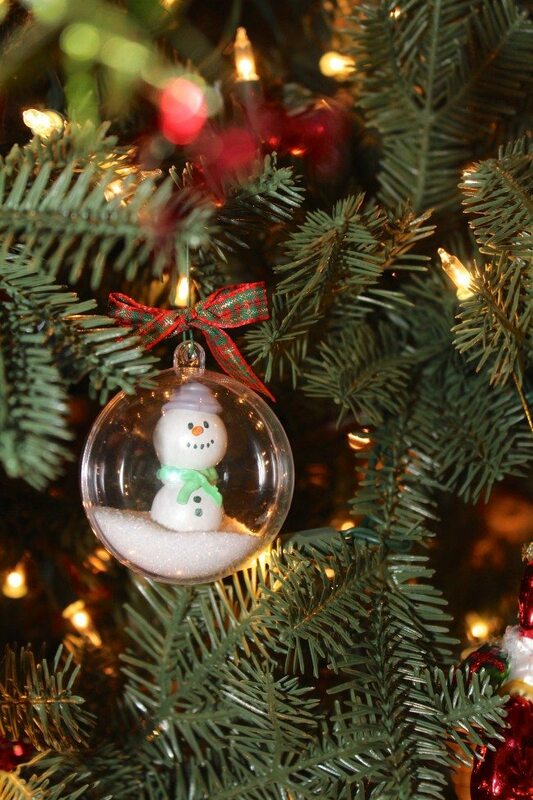 I used a squirt of grey icing to attach the snowman to the ornament and let it dry over night. 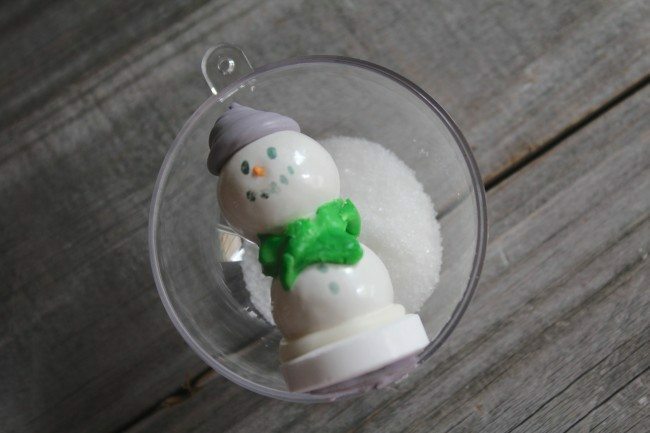 Once it was dry, I added regular white sugar and closed up the ornament. I secured the ornaments with hooks and a tiny bit of tape on the bottom. The kids loved making them, and giving them to their buddies and cousins.